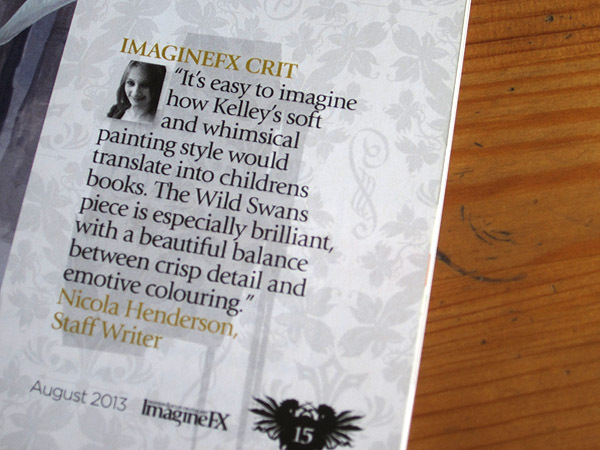 Way back in March I was notified that I was going to be featured in the August issue of ImagineFX magazine. I have been patiently waiting for my copy ever since then - and after I ordered it, it took over 3 weeks to arrive from the UK! 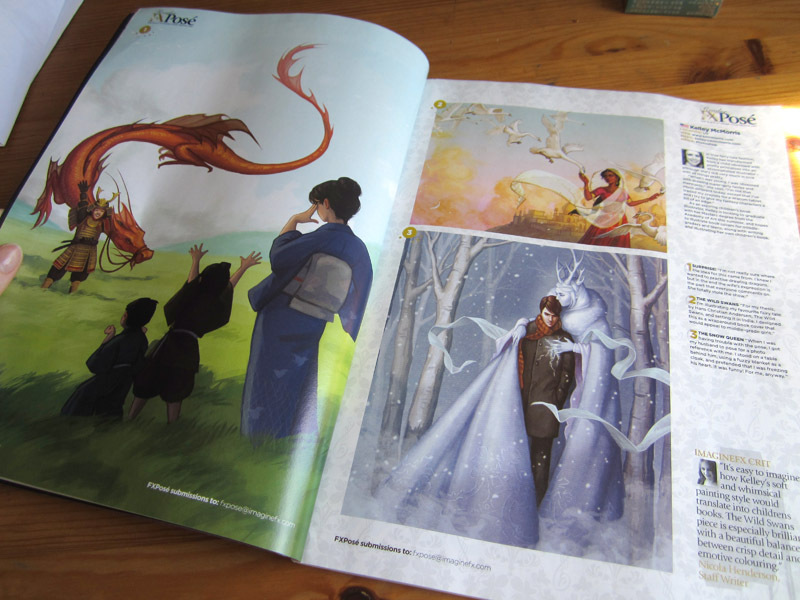 But it was worth it - when I opened the magazine I saw my work printed full bleed on a double-page spread. I said "woooooooooah" out loud. Thank you, ImagineFX! If you want your own copy of this issue you can buy it here.